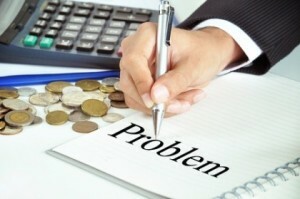 What are your Debt Recovery options? How to recover bad debt. A healthy cash flow is important to all businesses, but it can only be adequately maintained if your debts are paid. We are often asked what a business can do when they have outstanding invoices. Your entitlements, for example, can you charge interest? What action you can take until payment is received, for example, can I suspend work or suspend the line of credit available to the customer? Whether the contract sets out a procedure that must be followed in the event of a dispute, for example mediation. Issue a demand for payment, this may include a statutory demand which is available where the debtor is a company and the amount owed is $2,000 or more. Industry specific legislation may prescribe a recovery procedure, for example the Building and Construction Industry Security of Payment Act. Other legislation may provide you with other recovery options, for example the Personal Property Securities Act. Registering an interest on the PPSR to give your interests greater priority over unregistered creditors in the event your customer is wound up. Should you require any advice on the recovery options best suited to your business, please contact our Debt Recovery and Commercial Litigation Team.